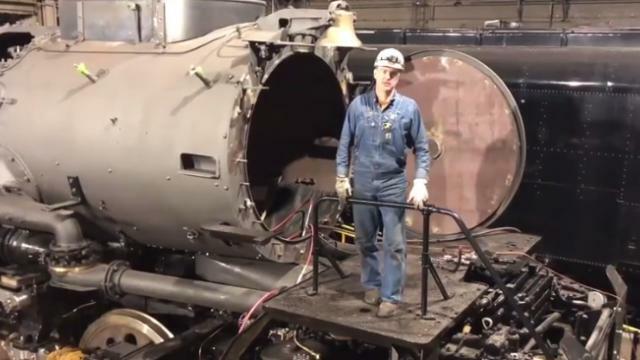 The Union Pacific Steam Team recently hoisted the Big Boy’s more than 250-ton boiler and rear engine into the air with two massive cranes and reconnected it to its front engine. Getting to that connection moment was a complicated endeavor. Articulated steam locomotives have two sets of drivers – or complete engine units – with eight wheel sets total. The front set of driving wheels, referred to as the front engine, can move independently from the locomotive’s permanently attached boiler and rear engine. This allows the locomotive to better negotiate curves. Big Boys are referred to as simple articulated locomotives because the live steam is used only once before it’s exhausted out the stack. This type of locomotive creates a very characteristic sound because the two engines work independently from each other and exhaust steam independently, creating a unique “chuff” cadence. The heaviest of the Big Boy’s wheel sets are called the main drivers. Weighing in at more 16,000 pounds each, these wheel sets are connected to the locomotive’s four main rods. The rods connect to the Big Boy’s four pistons. High pressure steam powers these massive wheel assemblies via a complex network of large pipes connected by huge moveable ball joints. The joints connect the front engine’s throttle and superheater header. The header is the large manifold – or casting arrangement – that connects the Big Boy’s network of small pipes, called super heaters, to the front engine’s steam chest. The Steam Team had to meticulously restore and reassemble these parts before the reconnection project could begin. The articulation joint is the main attachment point connecting the two engines. Between the front engine and smoke box are two exhaust ball joint castings that together weigh more than a ton. When all was said and done, the Big Boy’s rear engine pushes down with about 14,000 pounds of force on the front engine’s articulation tongue joint. The articulation tongue joint is the connection point between the two engine frames. The next huge milestone in No. 4014’s restoration is hydrostatic testing the locomotive’s boiler. The hydrostatic inspection uses warm water under hydraulic pressure to test the entire boiler structure. 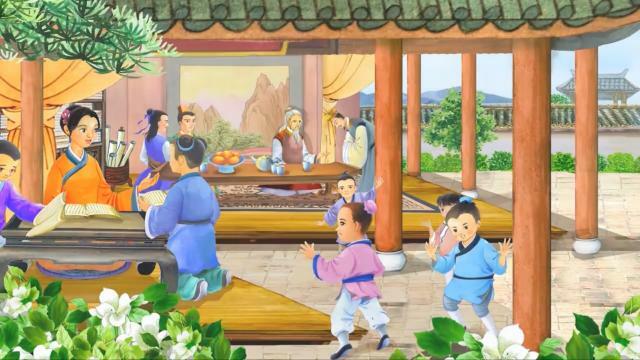 Dickens said the project is on schedule, and coming together nicely, but the team isn’t relaxing yet.